Anthony enjoys spending time in the workshop, the kitchen, the garden and out fishing. Many of his projects are featured in his yard. With a little planning, building a small chicken coop for keeping a flock chickens an urban backyard can be a fun and rewarding hobby for the entire family. 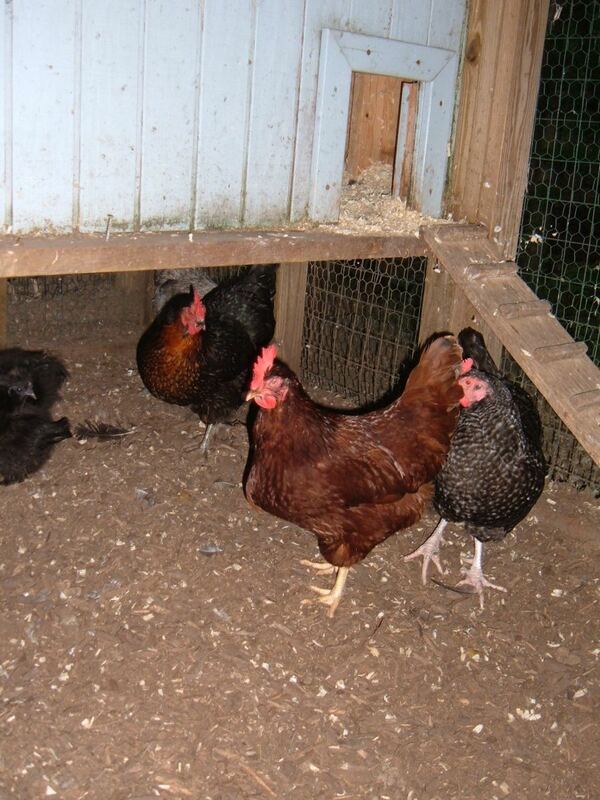 A small flock of chickens adds sound, color and movement to your landscape - not to mention fresh eggs! Before picking out your new cute little chicks, take a good look at your yard and your lifestyle: Do you have time every day to go out and feed the chickens? Have about enough space for a coop and a fenced-in run for the birds? Will your neighbors object to the noise? Chickens are hardy and do not require a lot of care, but they do need proper housing with daily feeding and clean drinking water. 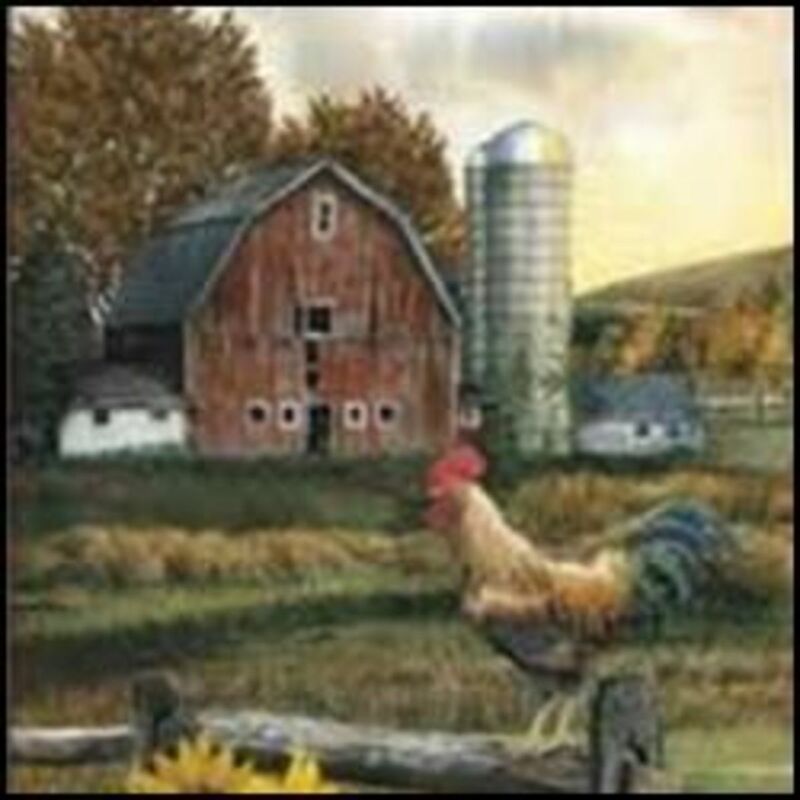 You will need time every day to feed and water your flock, and to collect the eggs when production gets into high gear. 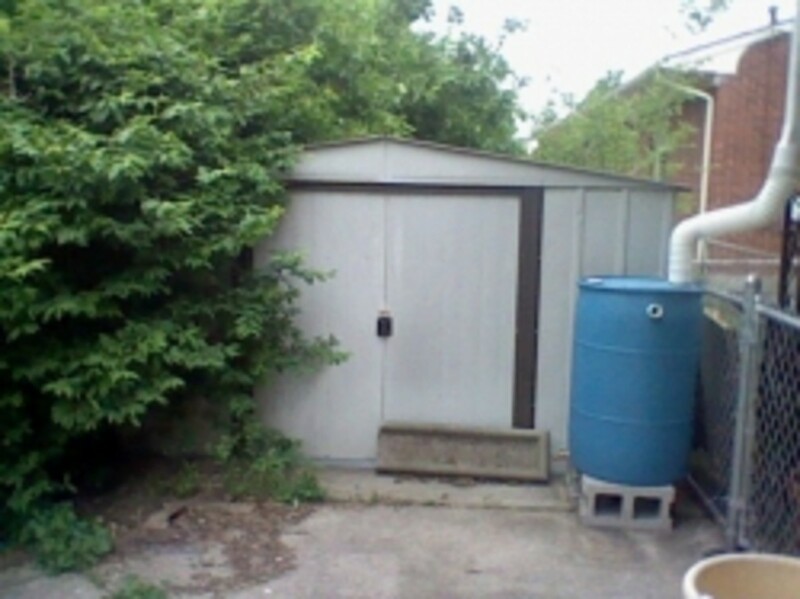 And you will need to get to your urban chicken coop at all times of the year and in all kinds of weather, so position the coop in an area with easy access. 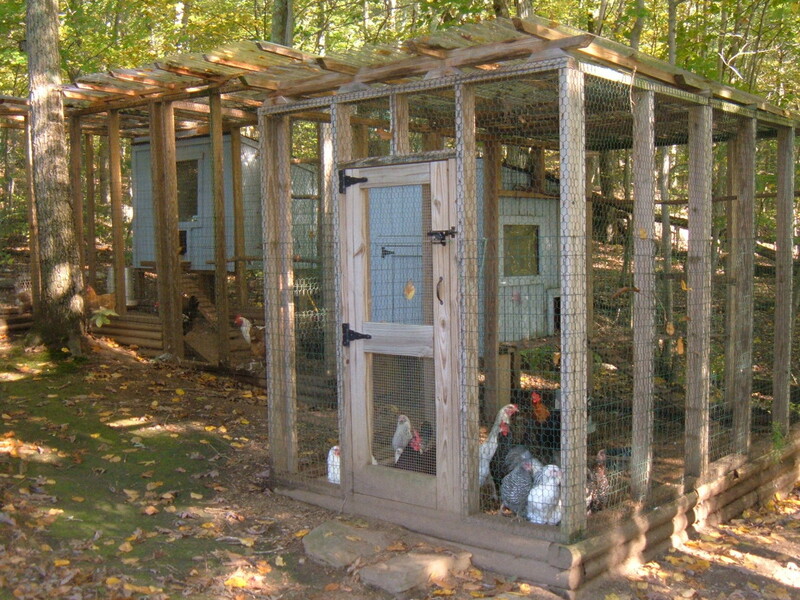 Here are a few tips when planning for a small chicken coop for keeping chickens in the backyard. Keeping a flock of chickens in the backyard requires space in your yard with proper housing and A fenced-in area called the 'run'. Our chicken coops are small shed-like structures that provide protection against the rain, cold and predators. The coops are elevated off of the ground, making it easier for us to reach in and collect the eggs, as well as periodically cleaning out the coop. Locate your urban chicken coop and run in a protected area that is out of the direct sun and blocked from windy drafts. Our coops are behind a large shed that provides a wind break, and under several large trees for protection from the sun and rain. 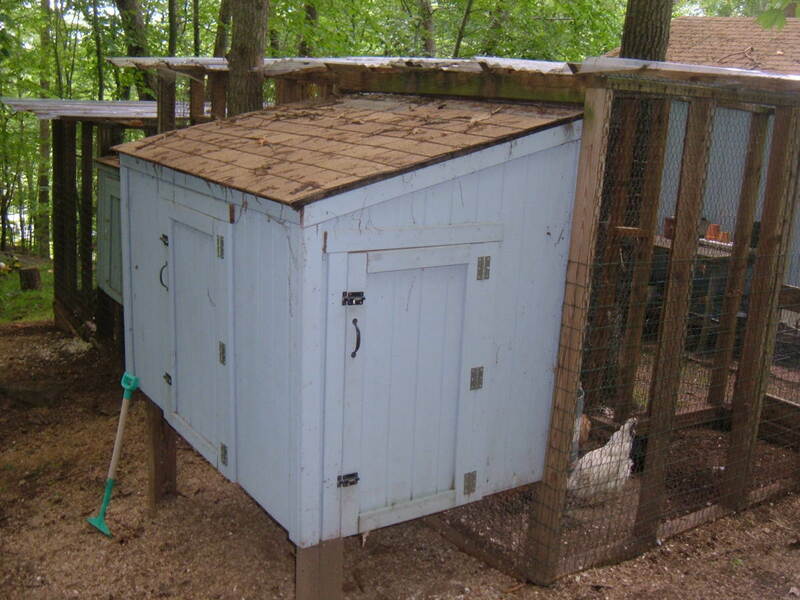 In one section of the enclosed run, the elevated coop offers a shaded area for the chickens. Select a building site that is also away from neighbors: chickens are noisy, especially early in the morning before feeding time, and even a clean chicken coop has a distinctive aroma. Consider your ease of access to the chicken coop when planning the site -- you will need to get to the coop at all times of the year and in all kinds of weather for daily care and feeding, and for collecting all of those fresh eggs. Don't forget about electricity, especially if you want to add a light or put out a heated water bowl in the winter. Chickens can comfortably withstand the cold of winter and the heat of summer, but they need protection from the wind, rain and predators. 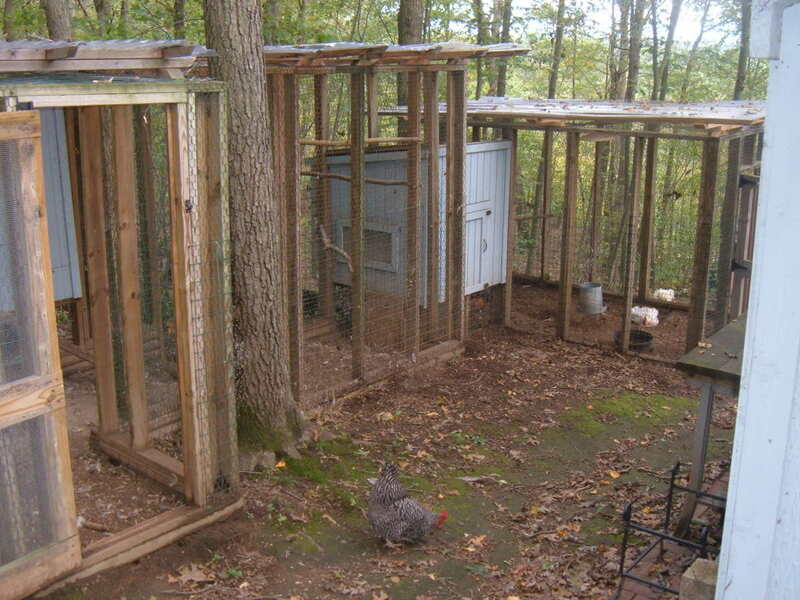 Housing for keeping chickens in the backyard can be as simple as a plywood box surrounded by sturdy fencing, or an elaborate architectural expression of whimsy. Just make sure the structure is built well enough to withstand an assault from dogs, foxes or the occasional coyote. To give the chickens enough room and prevent overcrowding, plan on a minimum of at least two square feet per bird (larger is always better). Install perches for roosting and nest boxes for egg production. The size of the coop dictates how many chickens can be included in the flock. Our first urban chicken coop was sized for six grown chickens. The small coop is essentially a plywood box, 4' x 4' square and 4' tall at the front, and made from T-11 exterior grade plywood. The roof slopes down toward the back of the coop to help shed rain and snow. The enclosed run is 6 feet wide by 12 feet long, and is protected on all six sides by fencing (including under the dirt floor of the run). Rather than building a coop with a walk-in design, we opted for a raised coop with doorways on the front and back for cleaning and egg collection. The coops is elevated approximately 20" off the ground, providing a sheltered area in the run area and under the coop that is shaded from the sun and protected from the rain. To gather the eggs, we simply open the door and reach into the nest boxes. No dirty shoes! Cleaning the chicken coop is easy, too. 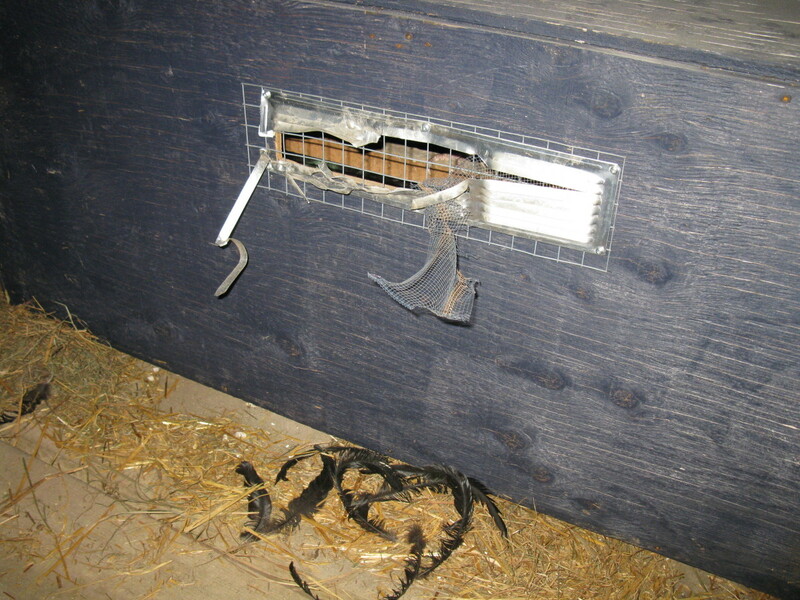 The front and rear doors are 28" wide, making it easy to reach every inside corner of the nest box. The inside of the chicken coop is layered with pine shavings, available from feed stores and garden centers in cubic bales. As the shavings become soiled, we open the rear coop door and park a wheelbarrow underneath. Then, we open the front door and using a plastic snow shovel, we push the dirty shavings into the waiting wheelbarrow, then dump the contents into our compost pile. 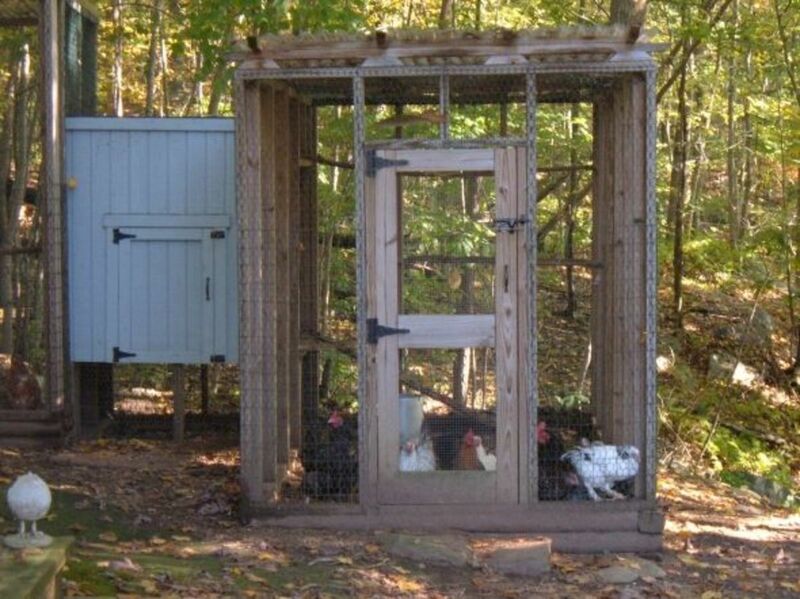 Attach an outdoor run to the chicken coop. The run is a fenced in and protected area, secured on all sides (including overhead and underneath). The run allows the flock to get outside and scratch around in the dirt, safe from hawks, fox, dogs and other predators. The fencing must be strong and tightly meshed to prevent raccoons and weasels from getting in. Many backyard chicken farmers also let their flock roam free during the day, allowing the birds to pick through the grass and mulch for seeds and small bugs. Chickens will happily scratch through flowerbeds in search of insects and other bits to eat. Our outdoor chicken run approximately 6' wide by 12' long and made from 2x4 framing lumber assembled into modular sections that are covered in plastic coated chicken wire. 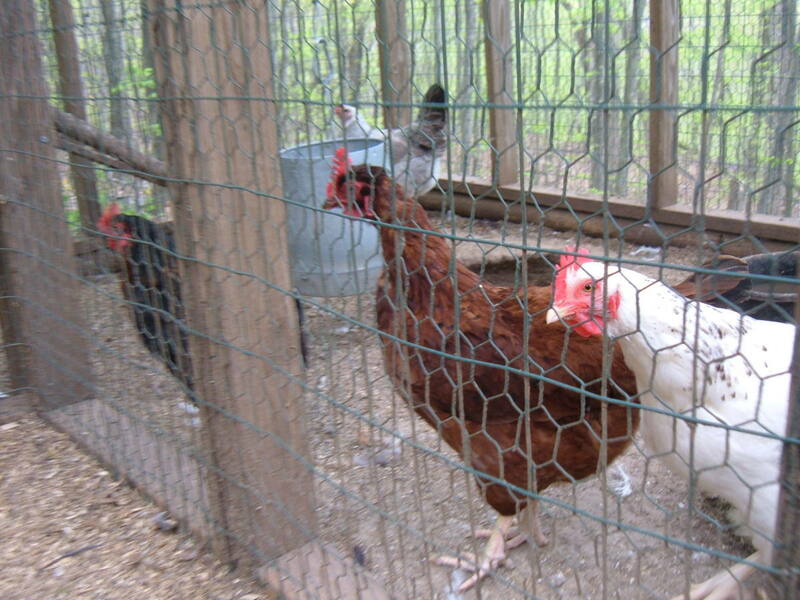 Since the chicken wire comes in 24" wide rolls, each modular frame section is 4' wide by 7' tall. The base of the run is framed with pressure treated landscape timbers. After cutting and screwing the framing sections together with weather-resistant decking screws, staple the chicken wire to the outside of the frame. Then, stand the finished section upright onto the landscape timber frame, and secure it in place with more weather-resistant screws. The last section includes a doorway, for entering the chicken run and for letting the chickens out to roam in the back yard. Assemble the next section, and attach it to the first section. The process continues all of the way around the outdoor run, creating a fenced-in and secure area for the chickens to scratch around in the dirt. The top of the outdoor run is covered with more chicken wire. To further protect the chickens from the snow and rain, we added a lightweight plastic roof. Planning for a small urban chicken coop and site preparation is crucial before purchasing those cute and irresistible baby chicks. Keeping chickens in the backyard is a popular and growing hobby, from just three or four hens to flocks with several dozen birds. 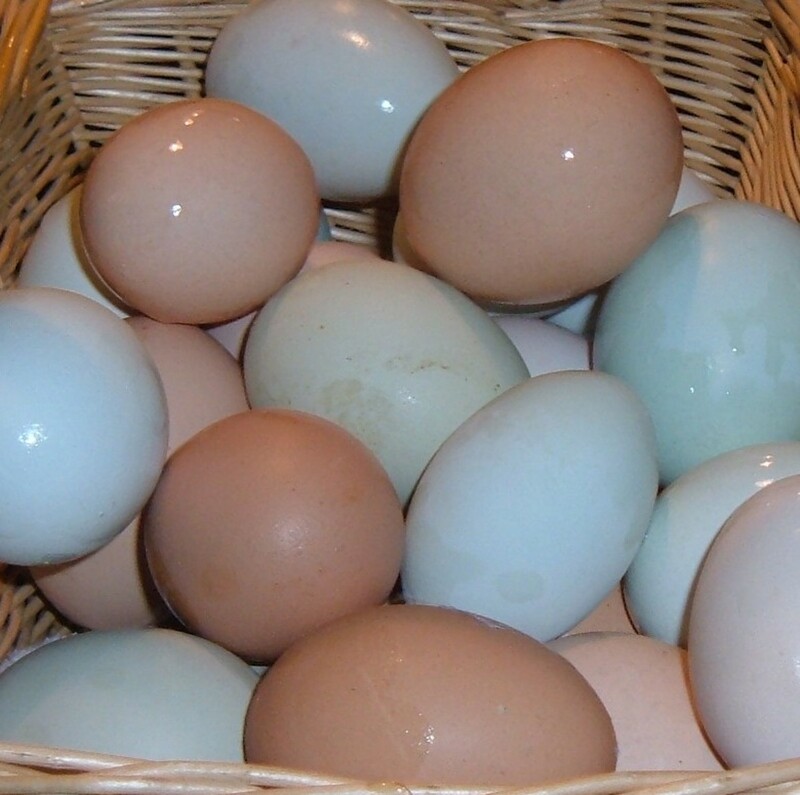 There are many interesting breeds of chickens to choose from: some have striking contrasting feather patterns and colorful plumage, some lay white or brown eggs, and a few breeds even lay pastel blue, green and rose colored eggs. With a little research and a bit of planning, keeping a small flock of backyard chickens can be a very rewarding experience for the entire family. But providing housing, feeding and caring for chickens is not for everyone, and not every town allows homeowners to keep a flock of backyard chickens. Check with the town officials before investing in chicks or building a coop. 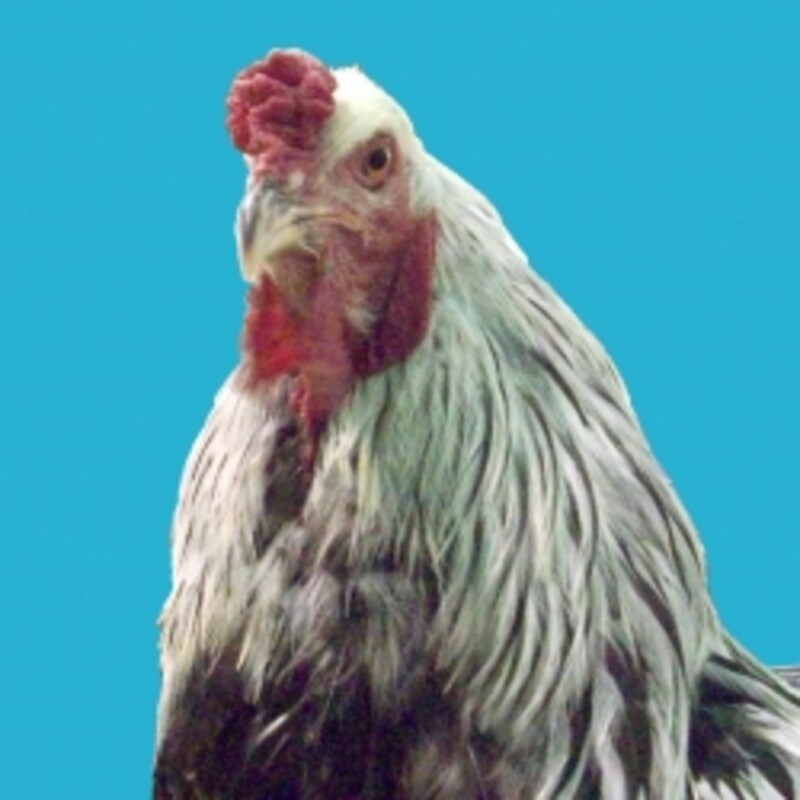 Chickens are livestock, and are subject to local zoning ordinances. 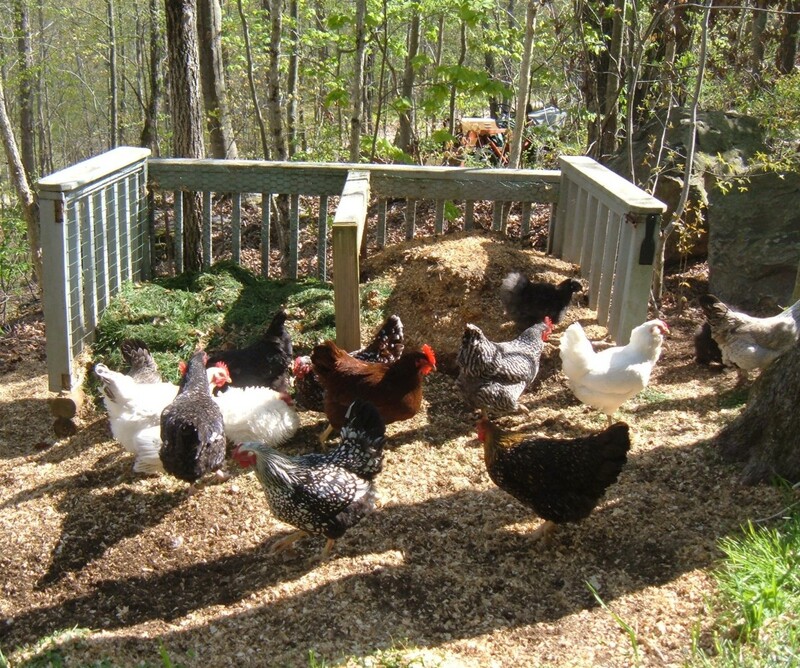 Do you have a backyard flock of chickens? We use hanging Chicken Feeders made from galvanized metal. Simply fill the bucket with chicken feed: the gravity feeder lets the pellets flow into a tray. As the birds eat, more pellets flow down from the bucket, but the tray prevents the feed from spilling out onto the ground. Hang the feeder so that the bottom of the feeder is about as high as the chicken's back. This lets the birds feed, but elevates the feeder above the reach of rodents. A galvanized metal waterer is more durable that a plastic jug, and will last for several years. The waterer can either hang or be set right on the ground. In the winter, we add a heater to keep the water from freezing. Ah, it's good to get out of the coop! And Backyard Chickens = Fresh Eggs! And we have goats too! Great article! Was thinking about raising chickens ourselves. This was really informative for our research. Great post, we free range the few chickens that we have. But at night we still make sure that they are locked down to keep them safe. This is pretty awesome! 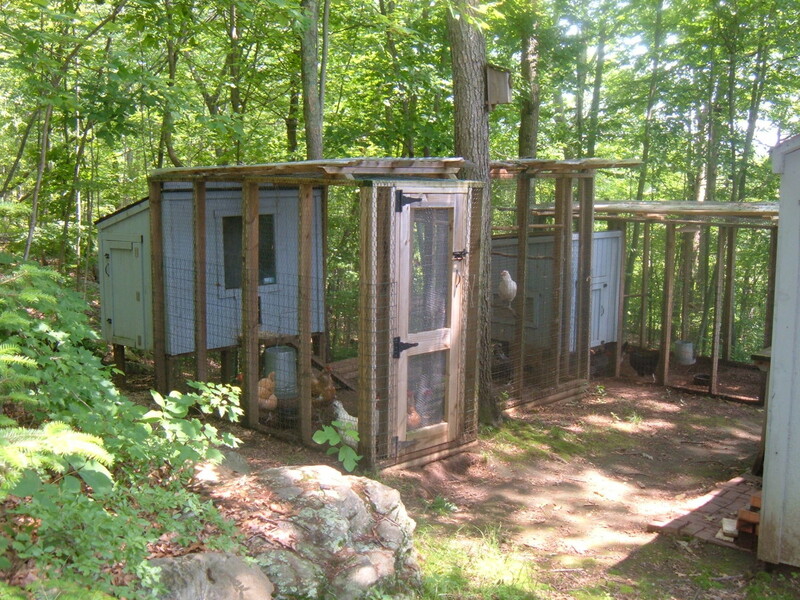 I remember the chicken coops my family members had on their farms when I was a child. It all seemed so natural. 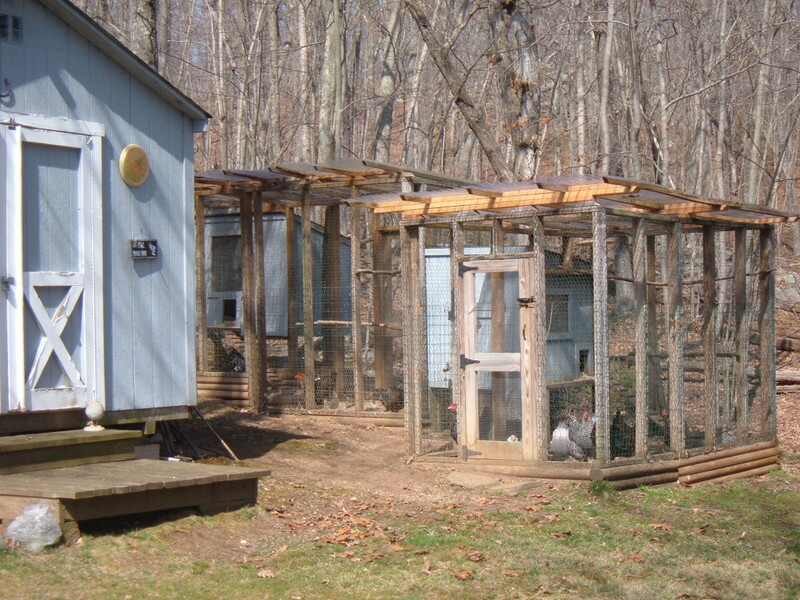 I never really considered the work, the coop design, or the care required for raising chickens. I wish I have one especially these days when we just don't eat chicken for fear of bird flu. Hi I enjoyed reading about your small coop. I have three chicken, they are my pets. Excellent planning tips. Very helpful. 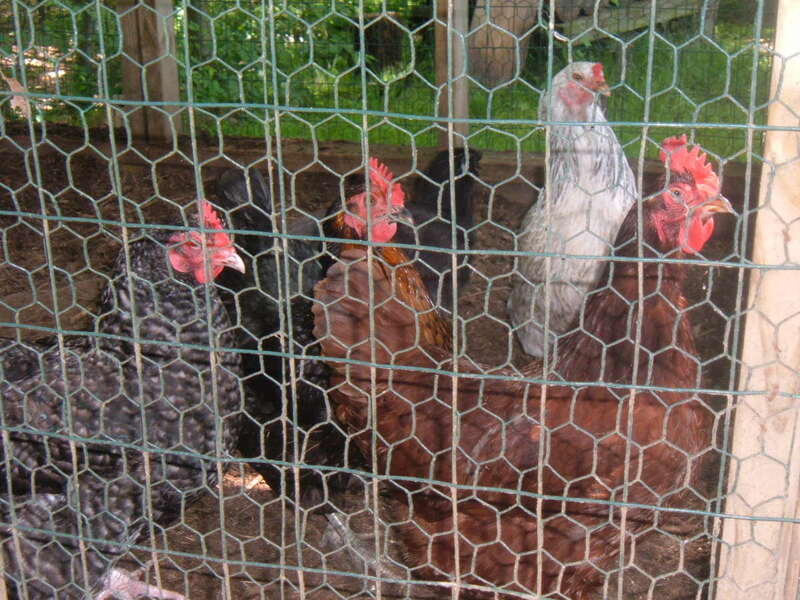 I plan to build a coop and start with a small flock of chickens in the near future. I really like the thoughtful tips about the elements that make it easy to clean things without having to walk in chicken p_ _ p. :-) You've thought of everything. Really nice, I appreciate your efforts on keeping these beasts in a humane manner too. I keep hearing about more people raising their own chickens to guarantee they are raised naturally with no hormones, antibiotics, etc. Fresh eggs cannot be beat either! Good info about coops. I love the coop in your photos. Chickens are so fun and easy to keep, and nothing beats fresh eggs. 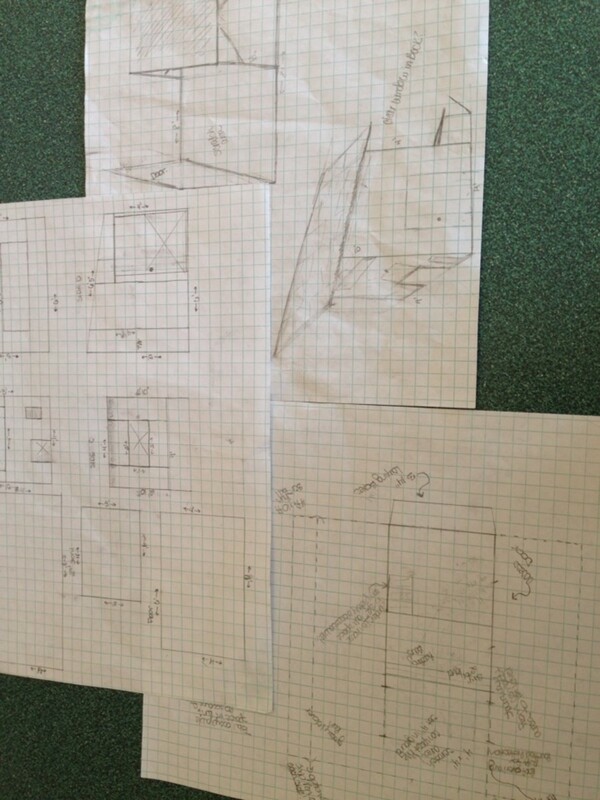 Great information here on making chicken coops.. I am thinking about doing one.. but what is the smallest possible.. because I don't really have much room. :) (Contact me directly for the answer).. and here's some Angel Blessings, just for you! My wish list is putting up a small chicken coop in our backyard and having 3 or 4 chickens roaming the land. Very interesting article. Your coops are nice. There is nothing like fresh chicken eggs for breakfast and baking. The chickens are good too...I love chicken. Some good info on building a chicken coop for beginners! I'm getting ready to build my first coop - your lens was a great resource! Thanks for the inspiration! I love your easy method of cleaning the waste from the coop. I let my chickens run around the yard during the day but my coop is way to big (an old shed) so I have chicken poop on my shoes all the time. Thanks for the tips. The old lady (I mean my beautiful wife) has been after me to build one, so may have to put this lens to good use. The chicks sure are irresistibly cute but best to follow your advice to have their coop and do the site preparation and not put the chicken before the coop. Very well written! would like to see a close up of your little chicken yard! Great idea, just want more, more! Great lens! I can't wait to read more!